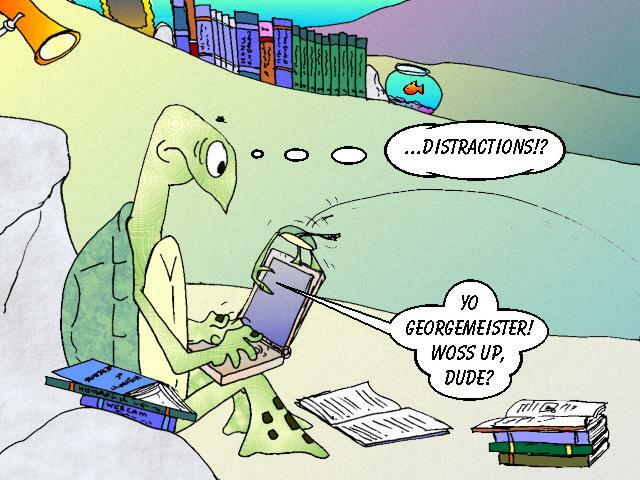 This series of toons describes the adventures of the turtles as George develops a webcam system for observing human behaviour. 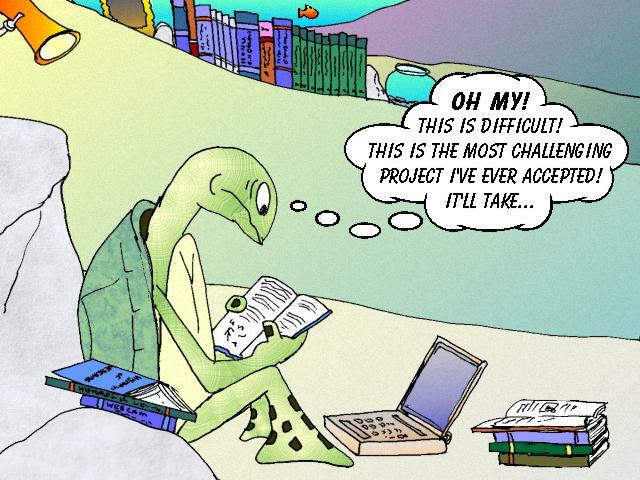 For news about a different kind of sea turtle webcam, see our SeaTurtleCam page. 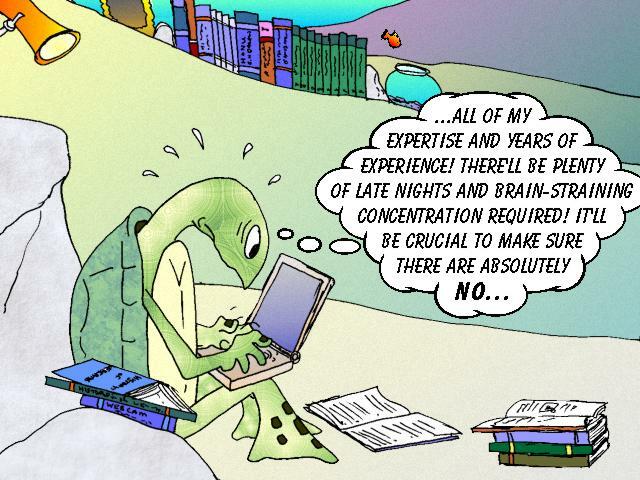 The Turtle Trax Toon is conceived and drawn by howzit (Ursula Keuper-Bennett).